Save The Date For The Pancake Breakfast! Save the date for the annual Pancake Breakfast, hosted by the Board of Trustees! 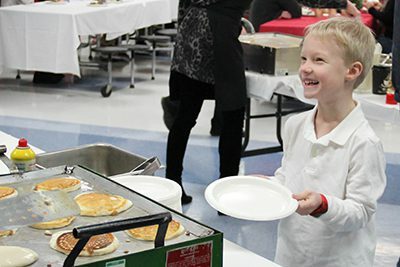 On Wednesday, December 5 from 7-8 AM in the Cafeteria, come celebrate MPA’s 37-year history with us while enjoying a community breakfast served by the Board of Trustees. There will be homemade pancakes fresh from the griddle, a variety of delicious toppings, savory sides, coffee, and juice! You are also invited to explore MPA’s past with the Pancake Breakfast history display! Please contact Laurie Foss, Executive Assistant to the Head of School, via email or at 651-748-5522 with any questions.